It stinks, but many of us suffer from dry knees and elbows, which means we are prone to darker skin in those areas. While we could simply go to a spa to get treatment in the area, it is soooo not necessary! Like always, most solutions to beauty dilemmas can be found in our kitchen and cost only pennies to make! Mayonnaise has been a beauty go-to for women for years. 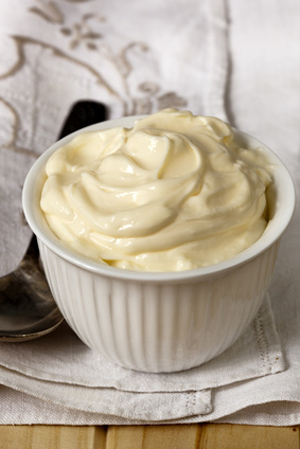 Some of the most fabulous and gorgeous women have used mayonnaise for hair, skin, and even nails. The egg, oil, milk, in mayo is great for your skin and is a super natural moisturizer. If you suffer from dry knees or elbows, simply apply a little mayo on your dry joints and leave it there for about 15 minutes before wiping with a warm wash cloth. Do this as often as needed for super soft knees and elbows! will it make them lighter? will it help with reducing darkness in the area?